Note: This project is still in Beta stage so you might experience some quirkiness. 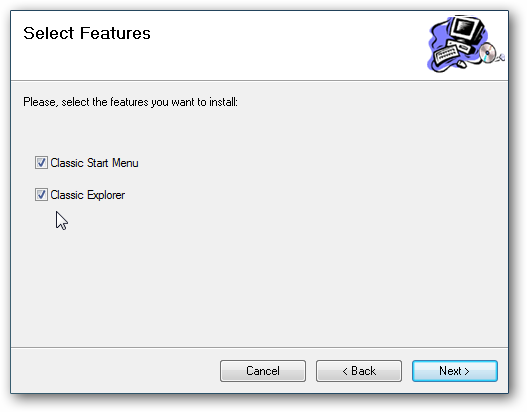 During the install you can select to have just the Classic Start Menu, Classic Explorer, or both. 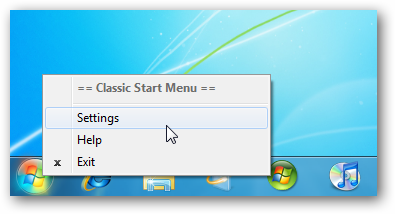 No restart is required and after a successful installation, click on Start to see your new classic menu. 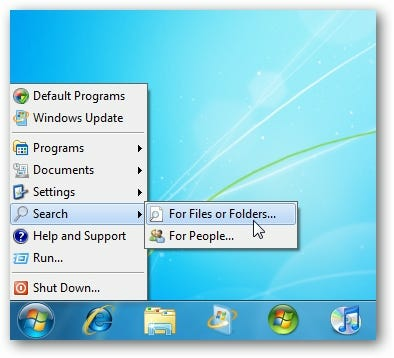 Here is another look at the Classic Start Menu pulling up recent documents. 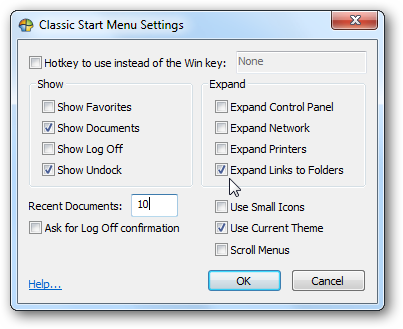 To change the settings of the Classic Start Menu, right-click Start and choose Settings. Here you can make some different changes to how it will look and behave. Here is an example of using Small Icons. 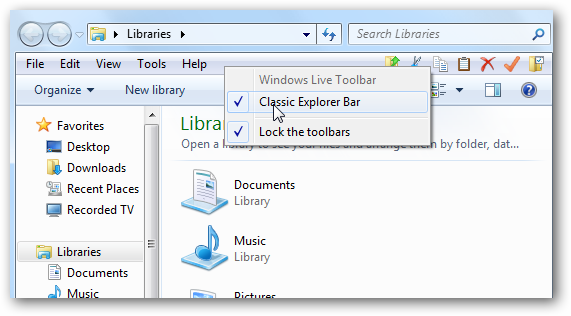 The Classic Explorer option is great for those who want the same buttons as in XP. You might have to do a bit of tweaking to see them however. 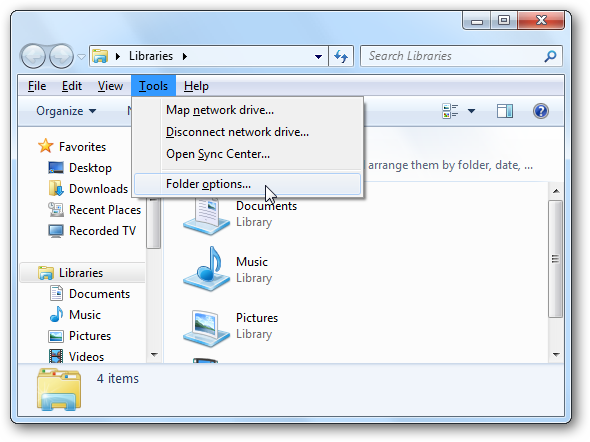 If you don’t see them right away, with Explorer open hit the key combo “Alt+T” and select Folder Options. 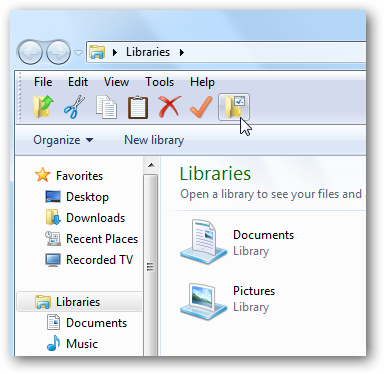 In the Folder Options window under the View tab, check the box next to Always show menus, then click Apply and Ok.
Now right-click on the Menu Bar and choose Classic Explorer Bar. 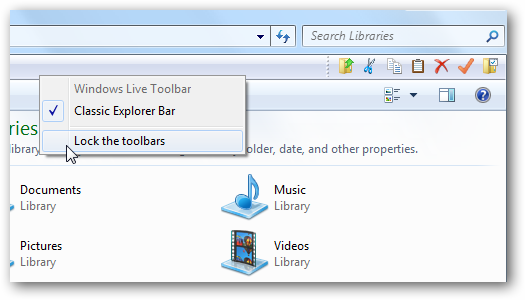 You will see the Classic Bar to the right of Explorer. 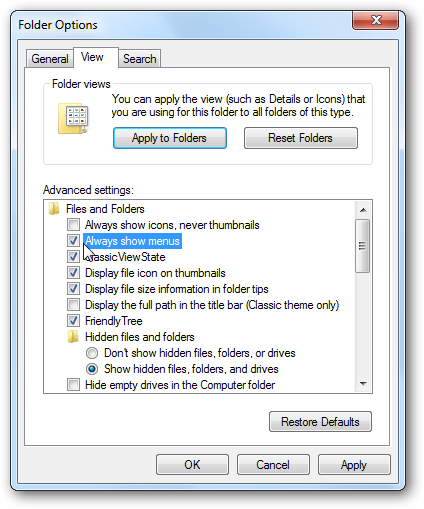 If you want to move them, right-click on the Menu Bar and uncheck Lock the toolbars. Then you can drag it over to the left side. 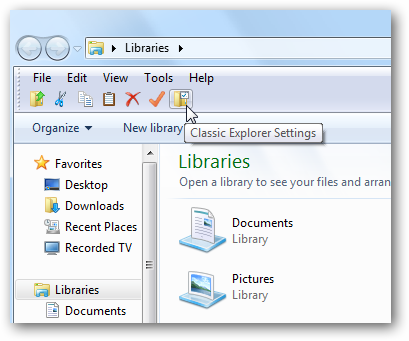 If you want to make the Classic buttons larger, click onClassic Explorer Settings. 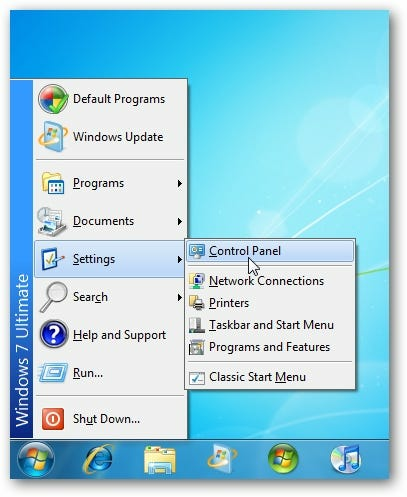 Then select use big buttons, and here you can also change other settings to fit your preferences. Here is the final result after moving them to the left and making them bigger. 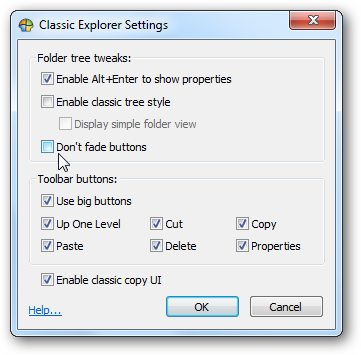 You can also show the classic tree view from the settings options shown here. 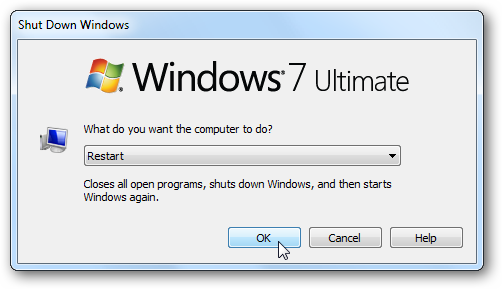 Another neat change is when you go to shutdown or restart the machine, you get the classic shutdown screen. Even though it’s in beta stage, in our testing over a the weekend, it seemed to run flawlessly. There are some some features and settings (like getting rid of breadcrumbs) that would be nice to see, and I’d imagine there will be more changes in the final version. 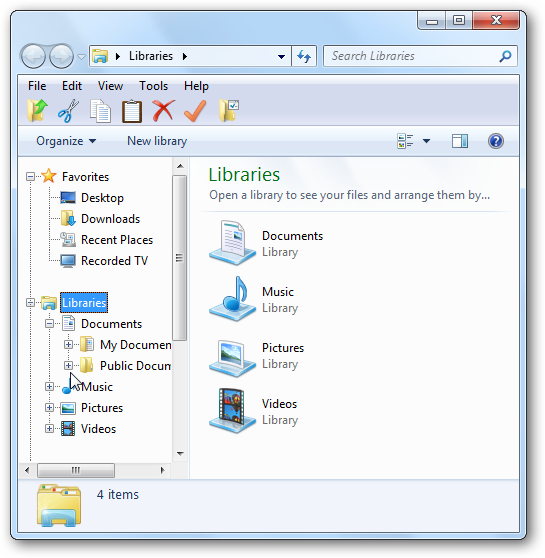 It works with Vista and Windows 7 (32 and 64-bit versions), and uses very few system resources. 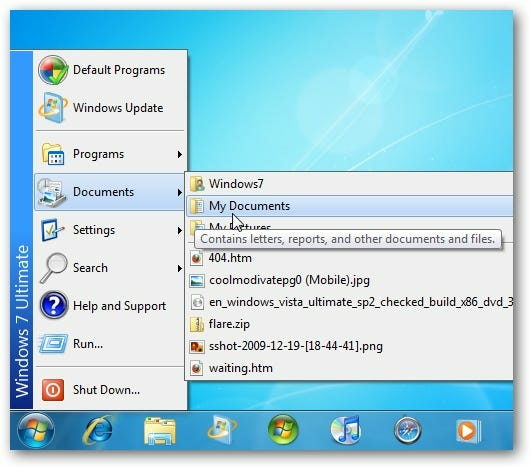 If you’re new to Windows 7 and aren’t impressed with the Start Menu or the new look and feel of Explorer, ClassicShell will quickly get you back on track.